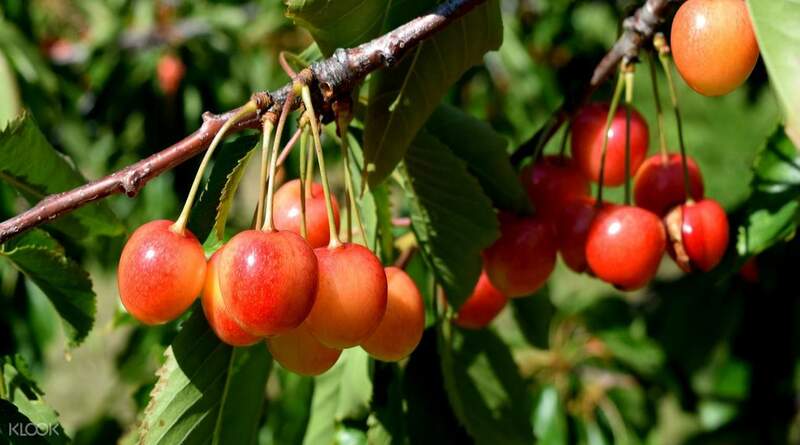 Pick your own sweet seasonal fruits fresh from the farm! Have a good experience. Tour guide is friendly and helpful. Enjoy the cherry picking. A delicious tour featuring seasonal fruits like peaches, cherries and grapes is exactly what you need to refresh yourself from long days in the city! From seasonal fruit farms to the heights of Mt. 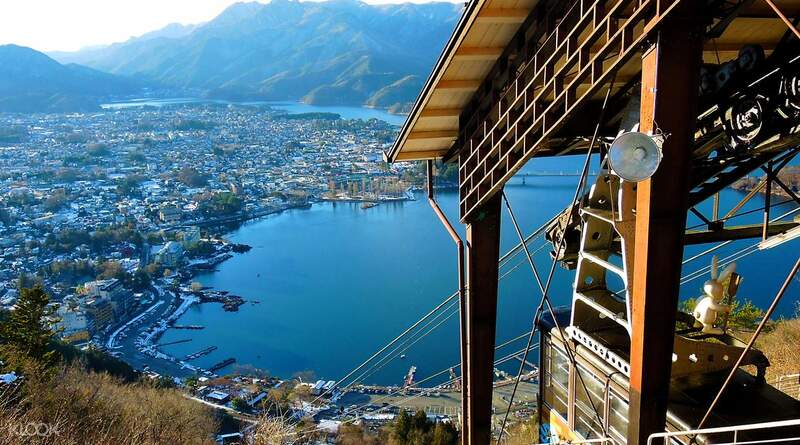 Fuji, and to the beautiful Lake Kawaguchi, this refreshing tour will energize you for more adventures to come. You start your journey by riding up to the popular 5th Station at Mt. Fuji, where you can marvel at the magnificence of this world-famous mountain. 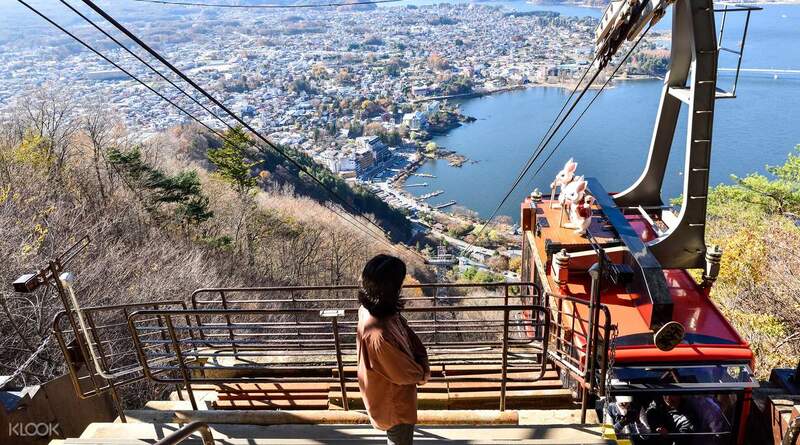 You'll enjoy a local specialty hot pot lunch right at Lake Kawaguchi, where you also go on a ropeway ride and see 360-degree panoramic views over the lake. Then it's time to head on to the Misaka Noen Farm where you can gorge on sweet peaches or grapes as you pick them! You'll even get to see Chateau Katsunumua for some wine tasting and shopping. Afterwards, get dropped off at Shinjuku Station to enjoy the rest of your day. 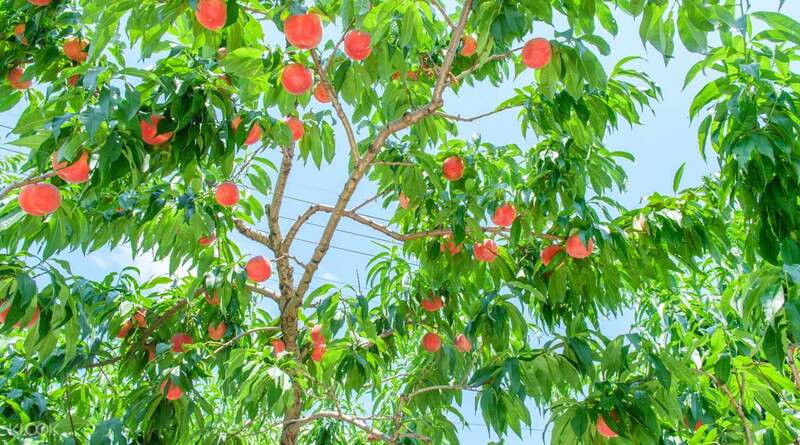 Taste fresh sweet peaches right off the trees! we are indeed so blessed to see mt. fuji, and the rest of the activities with such a wonderful weather. we got to see the famous mt fuji vividly. All is well on this trip. I recommend this itinerary with my friends, and will book again next time on a different season. we are indeed so blessed to see mt. fuji, and the rest of the activities with such a wonderful weather. we got to see the famous mt fuji vividly. All is well on this trip. I recommend this itinerary with my friends, and will book again next time on a different season. The tour was great... tho we have not gone to our usual stop because of the snow in 5th station... the tour had an alternate route which is better... saw the beauty of God's creation- Mt. Fuji!!!!! the tour guide Erika is very accommodating and nice... the driver is kind as well. Food is delicious and grapes... I love grapes!!! ;-) Will definitely book another trip in Mt. Fuji next time with this tour agency. Thanks. The tour was great... tho we have not gone to our usual stop because of the snow in 5th station... the tour had an alternate route which is better... saw the beauty of God's creation- Mt. Fuji!!!!! the tour guide Erika is very accommodating and nice... the driver is kind as well. Food is delicious and grapes... I love grapes!!! ;-) Will definitely book another trip in Mt. Fuji next time with this tour agency. Thanks. i went with my mother, i choose english conductor but fortunetly we get both of conductor because i think half of the tour want chinese interpreter too. we have a fun day. the sky also so good that we can see mt.fuji clearly. the time we spend on ropeway was tight because of the queue of the ropeway was so long so we cant enjoy the kawaguchi lake longer. thanks ms.kao dan ms.shino to conduct us all the way. i went with my mother, i choose english conductor but fortunetly we get both of conductor because i think half of the tour want chinese interpreter too. we have a fun day. the sky also so good that we can see mt.fuji clearly. the time we spend on ropeway was tight because of the queue of the ropeway was so long so we cant enjoy the kawaguchi lake longer. thanks ms.kao dan ms.shino to conduct us all the way. japanese tour guide is very helpful and friendly, english is absolutely not an issue. it will be better if the chinese speaking guide can be more friendly as she sounded kinda harshy eventhough i choose mandarin as my preferred option. 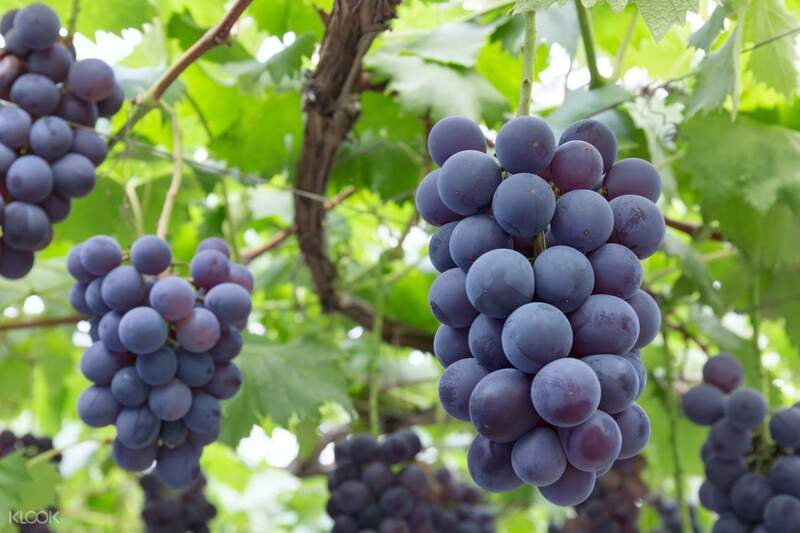 the unlimited grape tasting was fantastic experience, kinda bad luck due to rainy season we did not get to see Fuji Mountain but we did enjoy this day trip, it was very fruitful. japanese tour guide is very helpful and friendly, english is absolutely not an issue. it will be better if the chinese speaking guide can be more friendly as she sounded kinda harshy eventhough i choose mandarin as my preferred option. the unlimited grape tasting was fantastic experience, kinda bad luck due to rainy season we did not get to see Fuji Mountain but we did enjoy this day trip, it was very fruitful. Highly recommended for this tour as both of our Japanese lady tour guide and Taiwanese volunteer tour guide (Ah Yi) are very friendly. We were lucky to see the Mt. Fuji and snow experience at 5th station. Thanks to our tour guide again, 有缘再见! Highly recommended for this tour as both of our Japanese lady tour guide and Taiwanese volunteer tour guide (Ah Yi) are very friendly. We were lucky to see the Mt. Fuji and snow experience at 5th station. Thanks to our tour guide again, 有缘再见! We were on time even we stuck in traffic jam. Guide and driver were helpful and polite. Fruit picking was really funny and enjoyable. We were on time even we stuck in traffic jam. Guide and driver were helpful and polite. Fruit picking was really funny and enjoyable. Yumi was a great conducter! Tour made it really convinient to see the slights without worrying about transportation! Bus was super comfortable too! Yumi was a great conducter! Tour made it really convinient to see the slights without worrying about transportation! Bus was super comfortable too! I booked the Mt. Fuji tour 2 weeks before arriving Tokyo with a good weather forecast (mostly sunny and partly cloudy in the afternoon). However, on the day of the tour, the forecast changed and it was raining hard. I suggest to book the tour at least 2 days before the intended date just to make sure of a better weather. Overall, the tour IT was well executed from the pick up to drop off at Shinjuku station despite the fact that we didn't see Mt. Fuji. Lunch is average- hot pot with fried chicken. Cherry picking and wine tasting was fun too! Our tour guide Shiroki is very engaging and made sure of our safety. I will book this tour again next time I visit Tokyo. I booked the Mt. Fuji tour 2 weeks before arriving Tokyo with a good weather forecast (mostly sunny and partly cloudy in the afternoon). However, on the day of the tour, the forecast changed and it was raining hard. I suggest to book the tour at least 2 days before the intended date just to make sure of a better weather. Overall, the tour IT was well executed from the pick up to drop off at Shinjuku station despite the fact that we didn't see Mt. Fuji. Lunch is average- hot pot with fried chicken. Cherry picking and wine tasting was fun too! Our tour guide Shiroki is very engaging and made sure of our safety. I will book this tour again next time I visit Tokyo. Was able to visit more places during this trip compared to my first visit to mt. Fuji. Was also able to buy more souvenirs, try the grape picking, and wine tasting. Was able to visit more places during this trip compared to my first visit to mt. Fuji. Was also able to buy more souvenirs, try the grape picking, and wine tasting.